Today the term Marcellus Shale is a household name. It’s transformed Pennsylvania’s economy and has elevated the state’s energy profile. Recent production figures from the Pennsylvania Department of Environmental Protection illustrate the prolific nature of this play. Production topped 895 billion cubic feet of natural gas for the first six months of 2012, pushing the total production over 2.5 trillion cubic feet since 2008. How big is this? Pennsylvania has gone from importing 75 percent of its natural gas just five years ago to being a net exporter today. Thanks to an abundance of this resource, much attention has been focused on its safe and responsible development. However, another area gaining attention is the role natural gas plays in our transportation sector. With substantial cost saving and environmental benefits, employing more vehicles fueled by natural gas will put us on the road to a cleaner energy future. The increasing attention on natural gas as a transportation fuel is evident in a variety of ways. Nearly 200 people attended a recent Natural Gas Utilization Conference in State College. Hundreds of residents are attending PA Department of Environmental Protection’s natural gas vehicle workshops. The Turnpike Commission is engaged in a study looking at the feasibility of liquefied natural gas stations along the turnpike. Even at the recent annual ShaleNET Workforce Forum, the discussion included new careers in transportation related to NGVs and natural gas fueling infrastructure. Announcements have been made by auto manufacturers such as Chrysler to offer bi-fuel engines on its Ram model, and Honda is increasing production of its natural gas Civic. Other auto manufacturers such as Ford and GM also offer natural gas fleet options and all heavy duty truck manufacturers now offer natural gas in their lineup. In addition, engine manufacturers are developing natural-gas powered engines for on-road and off-road equipment. 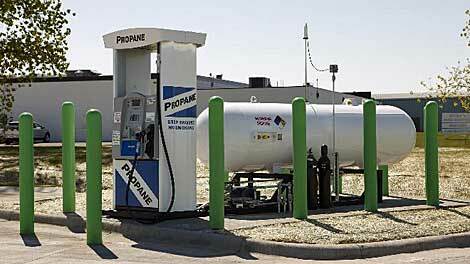 To support these new natural gas vehicles, drivers need fueling infrastructure. In response, numerous cities and companies have announced plans to open natural gas fueling stations for public and private use nationwide. And Pennsylvania is leading that charge. 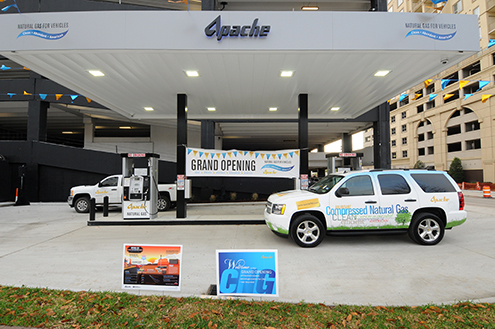 Chesapeake Energy has announced the development of several compressed natural gas filling stations in the Northern Tier to fuel its vehicles while opening the stations to the public. EQT has had a public CNG station opened for more than a year in Pittsburgh’s Strip District. Other companies have recently opened CNG stations in Bucks and Delaware counties and more are being planned throughout the state — including LNG stations. Building on these infrastructure and auto manufacturing announcements, the Department of Environmental Protection has aggressively been educating the public on its natural gas energy development program. Through public workshops and via its website, DEP is helping consumers, fleet owners and public officials make informed decisions on utilizing natural gas as a transportation fuel. To put a finer point on the potential benefits, natural gas use in power generation has helped achieve the lowest carbon dioxide emissions in 20 years, with significantly lower smog and ozone-causing emissions as well. It can similarly help clean up transportation emissions. It’s also cheaper than conventional gas and diesel — by more than 50 percent. That’s more money kept in our communities and in your pockets. Costs to convert fleets can be recaptured in short order, helping businesses save money, expand their operations and increase their competitiveness in a national and global economy. Using more natural gas vehicles is a solution to help Pennsylvania and other states reach their clean air goals. Thanks to an abundance of supply and exciting advances in vehicle and engine production, we can safely and responsibly use this resource to get on the road to a cleaner transportation future. The design of the station itself is a marvel, they said, because it incorporates 10 transportation fuels, including compressed natural gas (CNG) and liquefied natural gas (LNG), under a single canopy to achieve a one-stop fueling experience for the general public. Kwik Trip currently has three locations offering CNG, which sells for between $1.59 and $1.79 per gasoline gallon equivalent (GGE) in Wisconsin, and plans to open five more stations this year. An additional 10 stations are slated to open in 2013. Kwik Trip’s own natural gas vehicle (NGV) fleet will serve as part of the anchor load. The company maintains a fleet of about 400 vehicles that travel more than 18 million miles annually. It has just begun to transform its fleet and currently operates more than 20 NGVs ranging from light-duty vehicles to Class 8 trucks. The retailer is an activist for the NGV industry and strongly advocates the nationwide adoption of natural gas to be a standard fuel instead of an alternative fuel. Kwik Trip operates a chain of 372 Kwik Trip, Kwik Star (in Iowa) and Kwik Trip Travel Center locations throughout Wisconsin, Minnesota and Iowa. Another 38 locations are tobacco outlets, as well as three Hearty Platter full-serve restaurants. To viisit Kwik Trip’s natural gas webpage, please, CLICK HERE. CSP Business Media recently named Kwik Trip CEO Don Zietlow as its 2012 Retail Leader of the Year. The chain also recently won the annual CSP-Service Intelligence Mystery Shop. 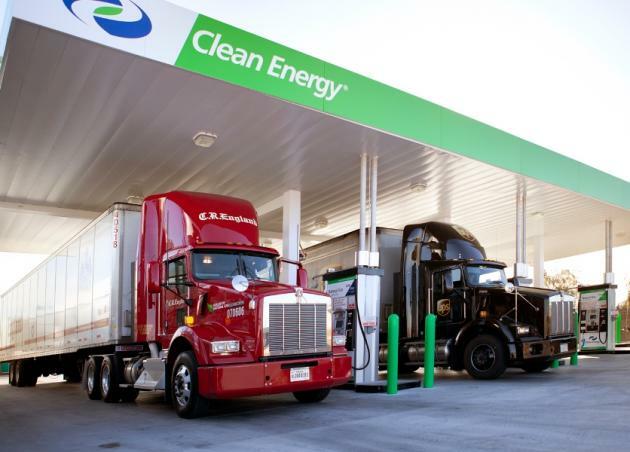 GE (GE) and Peake Fuel Solutions, an affiliate of Chesapeake Energy Corporation (CHK), today launched the CNG In A Box™ system, which allows easier adoption of compressed natural gas (CNG) refueling options for large- and small-scale retailers. The solution was unveiled at the National Association of Convenience Stores (NACS) 2012 Annual Show. Natural gas is an abundant, reliable and cleaner-burning source of energy for consumers and commercial users. A vehicle fleet operator that uses the CNG In A Box system for natural gas fueling instead of traditional gasoline fueling can save about 40 percent in fuel costs1. The CNG In A Box system is a plug-and-play on-site fueling solution that comes with everything retailers need to add low-cost natural gas fuel to their operations quickly and simply. This GE ecomagination™ qualified refueling option provides an easy, lower-cost fueling experience for consumers and a higher-margin solution for facility operators compared to gasoline or diesel. “After working extensively with GE to develop the CNG In A Box system, we are excited to unveil it at NACS and to the fueling industry overall. Combining Peake Fuel Solutions’ natural gas expertise and GE’s breadth of cross-industry technology capabilities will advance the use of abundant and affordable natural gas fueling solutions,” said Kent Wilkinson, vice president—Natural Gas Ventures, Chesapeake. The CNG In A Box system compresses natural gas from a pipeline into CNG on-site at a traditional automotive fueling station or industrial location. CNG-powered vehicles such as taxis, buses or small trucks, as well as individual consumer vehicles, can then refill their tanks using a dispenser with the same look and feel as a traditional diesel or gasoline dispenser. Financing for the CNG In A Box system is offered by GE Capital, providing competitive rates and flexible payment options. By combining an entire acquisition—including equipment, delivery and installation—into a single monthly payment, Peake Fuel Solutions’ customers can structure payments according to their cash flow and eliminate the costs and time associated with paying multiple vendors. With this solution, business owners can work with a single provider to acquire, finance and maintain their CNG In A Box system. The CNG In A Box system’s 8 foot x 20 foot container is easy to ship and maintain due to its compact design. Its modular and novel design makes it plug-and-play on-site. Wayne, A GE Energy Business, manufactures the dispensers that deliver the CNG from the CNG In A Box system unit to vehicles. These alternative fuel dispensers feature PCI-compliant pay-at-the-pump technology for a familiar and secure fueling experience. Using the same dispenser and payment terminal interfaces as Wayne petroleum dispensers simplifies point of sale integration. As part of this collaboration between GE and Peake Fuel Solutions, beginning in the fall of 2012 GE will provide more than 250 CNG In A Box systems for natural gas vehicle infrastructure. To learn more about the CNG In A Box system, visit us online or stop by the Peake Fuel Solutions booth at the NACS show (booth #6101). Ecomagination is GE’s commitment to imagine and build innovative solutions to today’s environmental challenges while driving economic growth. For more on ecomagination, please visit:www.ecomagination.com. GE (GE) works on things that matter. The best people and the best technologies taking on the toughest challenges. Finding solutions in energy, health and home, transportation and finance. Building, powering, moving and curing the world. Not just imagining. Doing. GE works. For more information, visit the company’s website at www.ge.com. Chesapeake Energy Corporation (CHK) is the second-largest producer of natural gas, a Top 15 producer of oil and natural gas liquids and the most active driller of new wells in the U.S. Headquartered in Oklahoma City, the company’s operations are focused on discovering and developing unconventional natural gas and oil fields onshore in the U.S. Chesapeake owns leading positions in the Eagle Ford, Utica, Granite Wash, Cleveland, Tonkawa, Mississippi Lime and Niobrara unconventional liquids plays and in the Marcellus, Haynesville/Bossier and Barnett unconventional natural gas shale plays. The company also owns substantial marketing and oilfield services businesses through its subsidiaries Chesapeake Energy Marketing, Inc. and Chesapeake Oilfield Services, L.L.C. Further information is available at www.chk.com where Chesapeake routinely posts announcements, updates, events, investor information, presentations and news releases. Peake Fuel Solutions advances innovative fuel solutions with products and services that create demand for clean, affordable natural gas. A significant focus of PFS is to increase compressed natural gas (CNG) and liquefied natural gas (LNG) infrastructure across the U.S. Other PFS projects include development of on-road and off-road technologies that reduce emissions and dramatically cut fuel expenses for the trucking, maritime, rail and oil and gas industries. An affiliate of Chesapeake Energy Corporation, Peake leverages the expertise of other Chesapeake affiliates to implement many of its fuel solutions. Further information is available at www.peakefuelsolutions.com. 1 Assuming 25,700 miles per year driven, gasoline priced at $3.50/gallon and CNG at $2.09/gasoline gallon equivalent. Beer, the third most popular beverage in the world after water and tea, just gained another reason for our support. Sierra Nevada Brewing, makers of fine beverages, recently purchased an EFuel 100 MicroFueler, which produces ethanol from water, sugar, and yeast. Guess what one of the major byproducts of beer fermentation is? Yup, yeast! The excess yeast left over from brewing will soon find its way into ethanol production. Currently, Sierra Nevada’s 1.6 million gallons of excess yeast are used as a nutritional supplement to beef and dairy cows. Initially Sierra Nevada plans to use the MicroFueler to create ethanol fuel for its own fleet of cars. If sufficient fuel can be produced — ie: if we all keep drinking their sweet elixir — there’s talk of fueling employee cars as well as potential distribution. In 2007, Sierra Nevada began a new program to utilize spent vegetable oil from the Taproom and Restaurant as an alternative fuel source for their fleet. Sierra Nevada purchased a Springboard biodiesel processor which produces 50 gal batches of biodiesel in 48 hours and is currently doing a batch a week. The finished biodiesel is used in the Sierra Nevada long haul and local route trucks. Order a six pack for you, and one for your car! But don’t drink and drive.